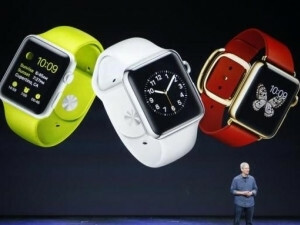 It is unclear when the Apple Watch will be officially available in SA. The desire to be first is risky business, analysts warn, as a host of e-commerce platforms sell the Apple Watch ahead of its, as yet unspecified, South African launch. E-commerce platform Takealot.com announced last week it is selling the Apple Watch before the local launch. These watches, also found on ShopandShip.co.za, WantItAll.co.za and CaCell.co.za, are grey imports; genuine products that are imported by someone other than the manufacturer or authorised distributor. Buying grey products could be risky as the device may not work correctly on local networks, fail to run local apps and cannot be repaired by local outlets. Rutger-Jan van Spaandonk, executive director for the Core Group, SA's official Apple distributor, says: "It is absolutely not in the interest of the consumer to buy grey imports." Van Spoondonk explains, if the grey device needs to be fixed, it will have to be sent back to the original buyer overseas for repairs or complaints, as local Apple stores will not be able to help. "Warranty goes to the first end-user customer unless they are an official channel partner and have the right to transfer." WantItAll.co.za COO Terence Murphy says there has not been much interest in the company's offer of the watch so far and only two had sold via the Web site. Murphy notes the site made sure the watches were available as soon as they launched in the US. He adds the company stocks the entire range of Apple watches. This week, head of retail at Takealot Didi Francis told ITWeb: "We sold out of all stock within the first couple of days and are busy replenishing." Francis was unable to provide detailed sales figures. On the site, it notes the watch is aimed at "early adopters and technology enthusiasts". World Wide Worx, MD Arthur Goldstuck says: "It's a gimmick on the part of Takealot to say they're sold out without revealing how many they ordered." Van Spaandonk says, in his experience, most South African consumers are not impatient and will understand they need to wait for the product to be optimised for the South African environment. Nevertheless, Goldstuck says: "There are always schmucks who will pay a premium to have something first, so it says nothing about the local market if a handful of watches sold at absurd prices." Obsession and a desire to be first is what keeps the premium product world ticking, says independent marketing analyst Chris Moerdyk. "Even with the risks involved, some won't care, and will pay double for something that has less functionality just so they can say they had it before others." The Consumer Protection Act (CPA) requires suppliers of grey imports to display a "conspicuous" notice on the goods. Regulations accompanying the law say sellers must inform consumers on marketing material and wherever the item is advertised that the item is not covered by the official manufacturer distributor warranty. Murphy says customers are made aware they are buying a grey product: "But we only sell items from reputable merchants in the US. We also offer a full money back guarantee and a six-month implied warranty as per the CPA and then the Apple warranty stands." WantItAll.co.za displays "Imported: USA" on the product page and goes into further detail in the terms and conditions. Takealot.com notes, at the end of the product description: "Warranties are handled by our UK supplier - please allow 2-3 weeks for any warranty repairs or replacements." The Apple Watch was officially launched in March and made available through the iStore in the US, UK, Australia, Canada, China, France, Germany, Hong Kong and Japan the following month. It is not known when it will come to SA.